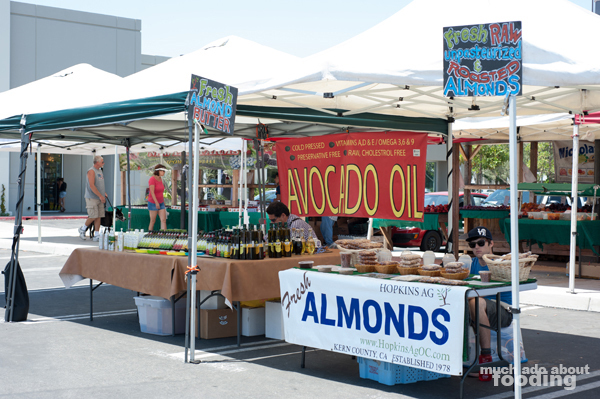 It's been a little while since our last "Finding Farmers' Markets" post but the weekends have been absolutely nuts lately! Not sure when the next in the series will happen but let's take a look at Costa Mesa today. 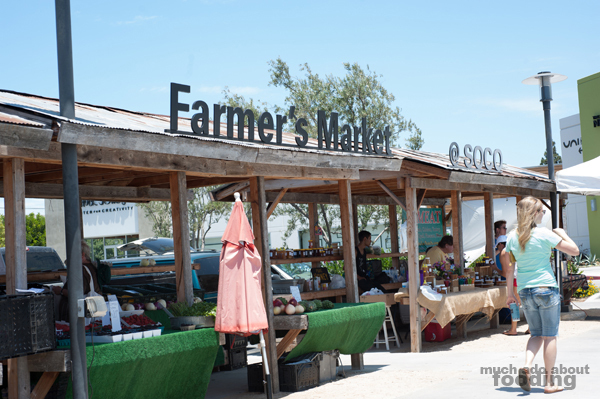 I clearly remember the South Coast Collection (SoCo) farmers' market from their "Farm to Food Truck Challenge" years ago which was the very first time I had even been in that parking lot space for an event. Located in Costa Mesa, tucked away from major streets but visible from the 405 freeway, SoCo has quickly been gaining ground as a food hot spot in Orange County. 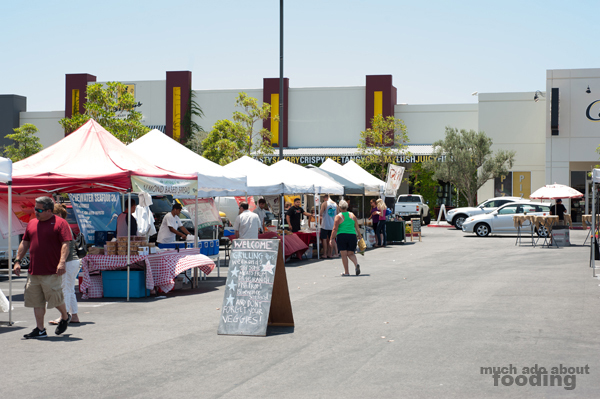 It is also home to the infamous OC Mix, residence to multiple well-known and talented vendors. 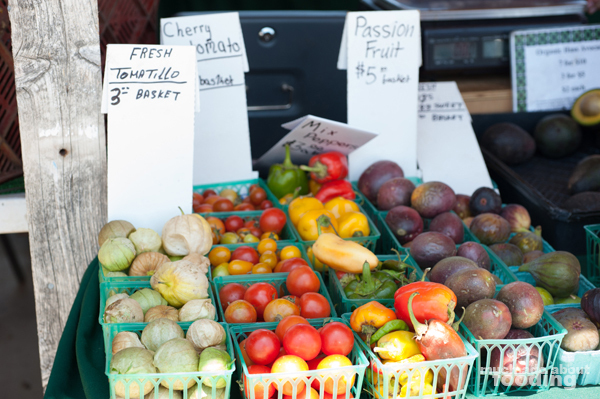 The farmers' market itself has shrunk over the years but there are still some pickings you can get your hands on (sorry but food trucks haven't been there for a year or so now)! 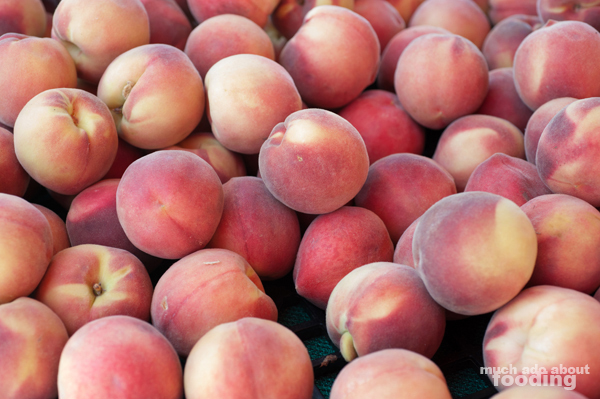 One of the reasons why a lot of people really enjoy farmers' markets is the ability to find just about every grocery you need in a guaranteed fresh and personable location. SoCo's is very widespread with plenty of aisle spacing in between tents (almost too much - the day I went, it was extremely empty), giving people the freedom to wander closely to the vendors for purposed shopping or gaze from afar. The back area had a few prepared food vendors from which you could get a ready-when-ordered snack as you browse wares. I spotted some fresh seafood on ice that several customers were buying, and the avocado oil and nuts people called out for people to sample. 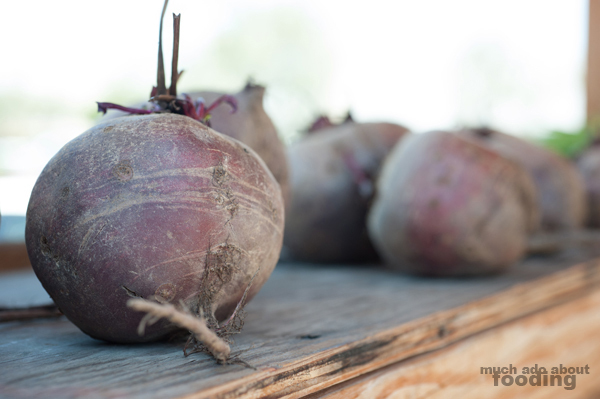 Since it was summertime, the fruits were heavily abundant at the market but the vegetables, not so much. There was a good variety of citrus available as well as berries and stone fruits but the vendor selection itself was scanty with only a handful to choose between. However, every one of them was friendly and open to speaking with their customers or potential buyers. I hope that they do well on other days; perhaps my visit was a fluke. 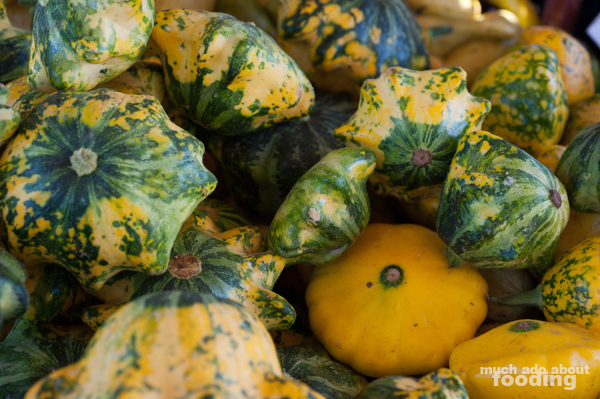 I did spot one vendor that was offering something a little out of the ordinary such as multicolored squash, tomatillo, passionfruit, and different peppers. A rainbow row of these baskets stood out and seemed to attract many walking by as well. 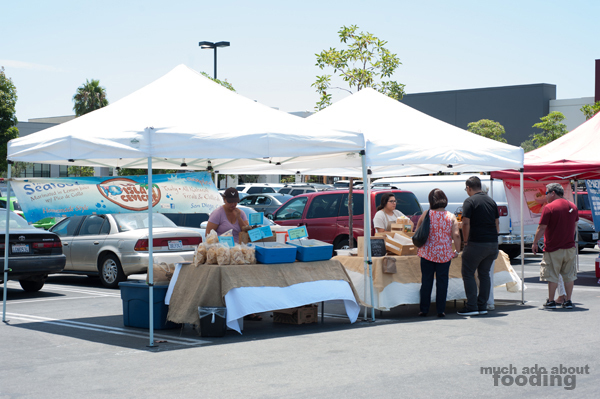 Da-le-Ranch was also there with their local and fresh meats so you'll know where to find them next! Overall, the market is much, much smaller than what it used to be and seemed not as focused on the various activities they used to have for families. Perhaps I went on a bad morning though - I'll check back in with y'all next time if anything changes on subsequent visits! 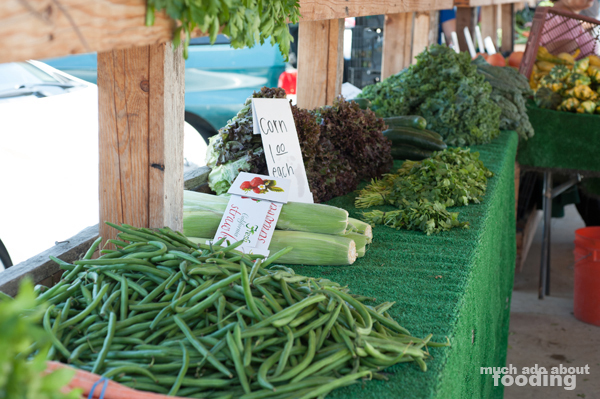 This farmers' market is open Saturdays from 9AM-2PM. Photography by Minerva Thai. More pictures available on Facebook here.